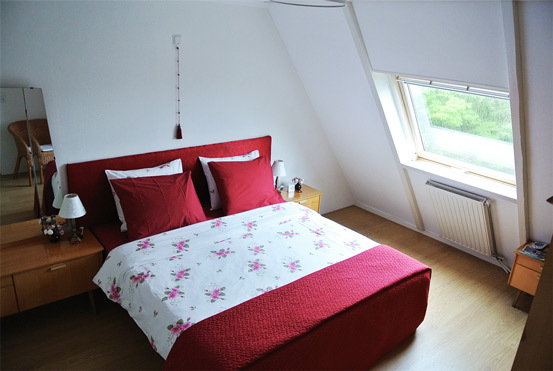 This comfortable room is on the second floor and has views over the courtyard and the city. 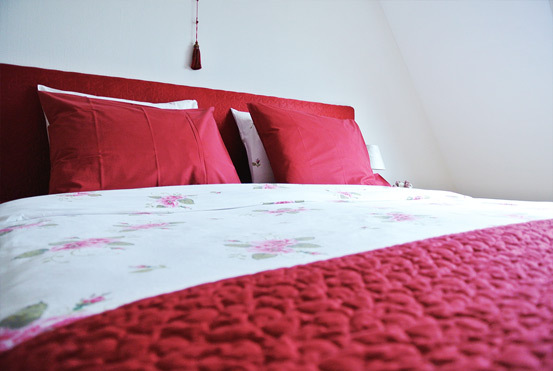 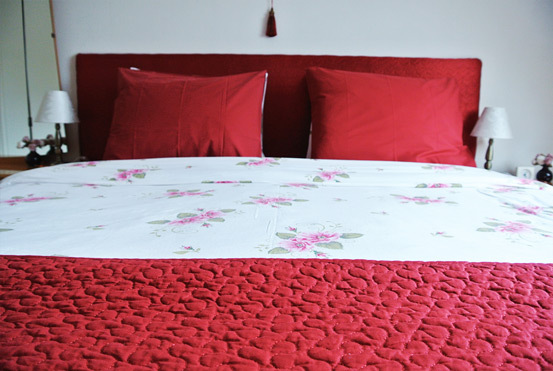 It is the largest room of our B & B with a lovely large double bed. 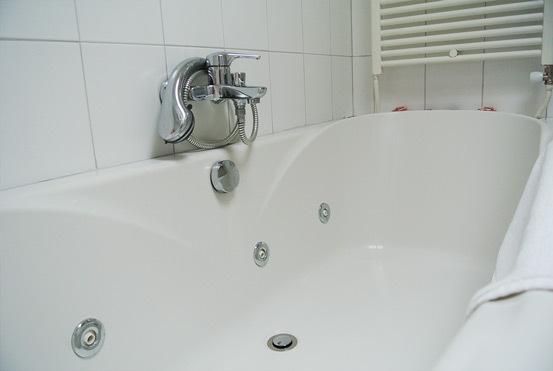 The room has a luxurious bathroom with a separate shower, sink, toilet and whirlpool bath. 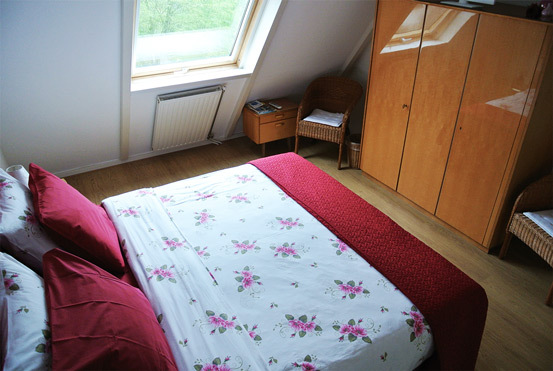 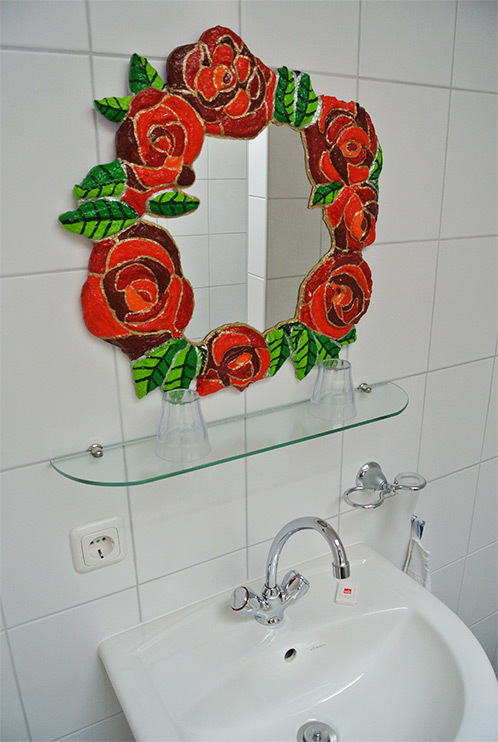 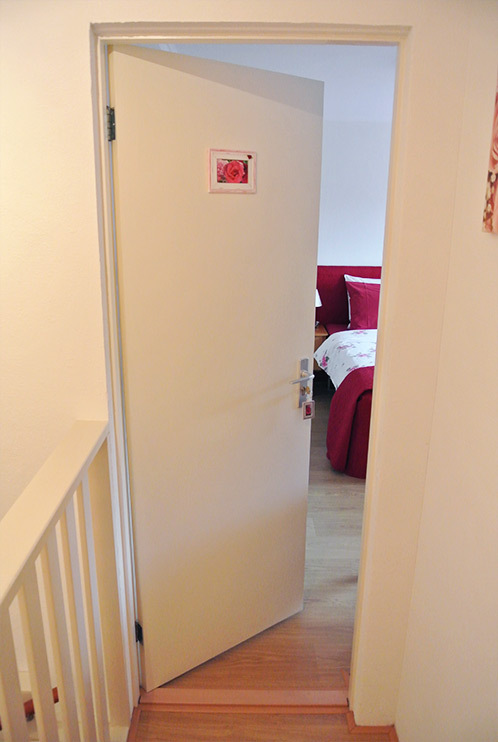 Price: € 80, - per night including breakfast and taxes.